The three-toed woodpecker is a woodpecker of the north.In fact their range extends further north than any other woodpecker. 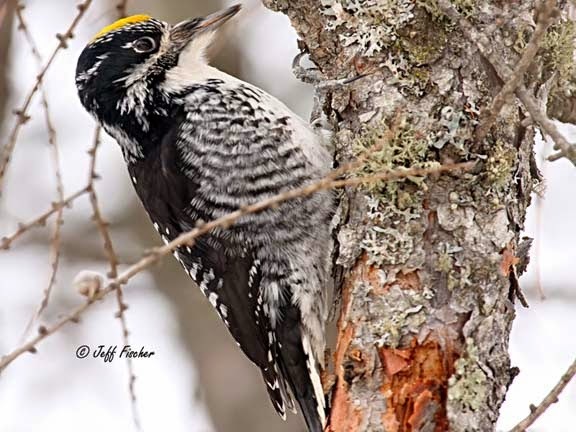 The American three-toed woodpeckers range extends through the boreal forests of Canada and down into the Rocky Mountains. The Eurasian three-toed woodpecker's range extends through out northern Europe and Asia. The American and Eurasian version both look similar but differ in their DNA. The three-toed woodpecker gets its common name because it is one of only a few species of woodpeckers that have only 3 toes, most species have 4. The black-backed woodpecker also has only three toes. it is found in similar habitats, although its range does not extend quite as far north. The three-toed and black-backed woodpeckers look very similar except that the three-toed woodpecker has white barring on its back while the black-backed has a plain black back, as its name would suggest. Interesting post and lovely woodpecker. That's a new Woodpecker for me, and very nice it is too. Thanks for sharing. This is a new bird for me. Thanks for the info. Great shot! Wonderful photo, and a familiar bird in our parts of the world. 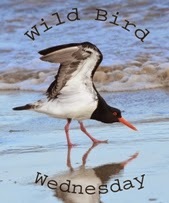 What a lovely shot - love seeing birds that I don't have in my area! Oh if that is not the sweetest bird, beautiful! Never seen a 3 toed woodpecker !